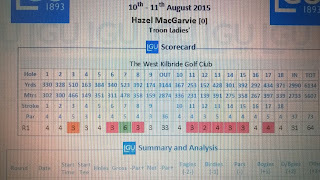 Hazel MacGarvie, Troon Ladies, produced the lowest score of her career in the first round of the British Girls amateur championship at West Kilbride today. 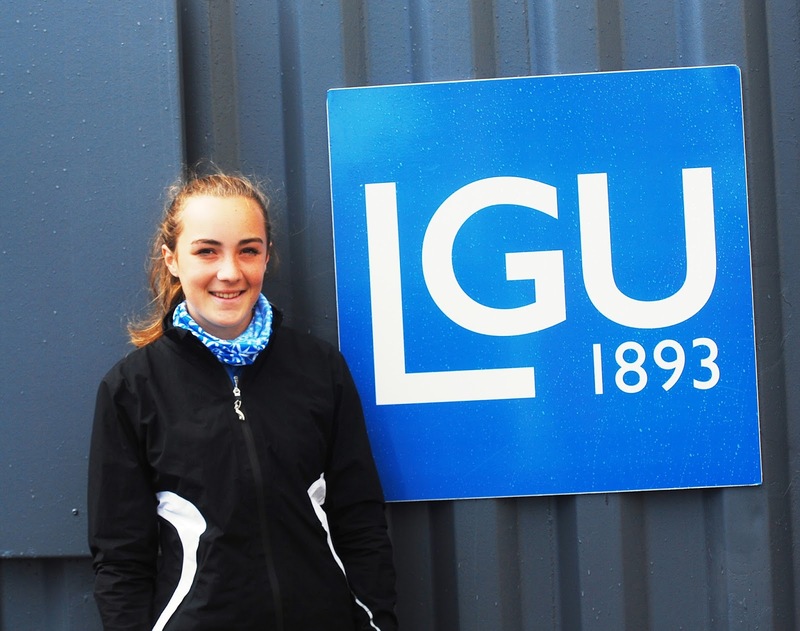 She is currently leading a top class international field by 2 strokes after a superb 9 under par score of 64. 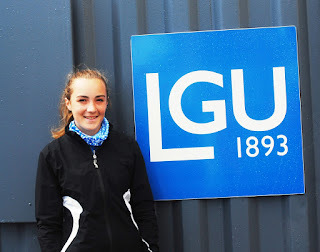 Hazel tees up at 14.44 in the second round tomorrow ahead of the matchplay which starts on Wednesday. The top 64 will go through. 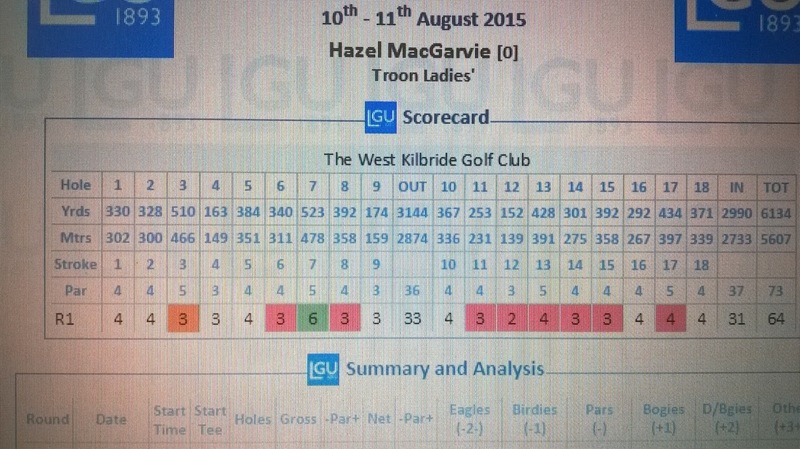 "I've never played as well as that before," said Hazel. "I had five birdies in a row and I did begin to feel a bit nervous. But the birdies kept coming. "It was just my day. I even holed a bunker shot at the 14th with the ball spinning back a good 6ft and running into the hole. "It was an eagle 3 that got me going. I hit a five-wood second at the 531yd third hole, hit the green and holed the putt from about six feet. Even a bogey - the only one on my card - at the par-5 seventh did not change my luck. I had a bad lie in the rough there, took four to get on this par-5 hole."